Super moon is amazing, reminding us of the beauty and scale of universal energy, Qi(chi, Chee) is the term for the universal energy, or the energy that permeates everything around us. Qi(chi, Chee) literally translates as “breath” or “air”, some practitioners call it the life force or energy flow in any living organism. Ancient Chinese described it as “life force”. In Feng Shui this term applies to the energy inside our bodies, and energy inside or outside of buildings. Chi is energy that flows in every living organism. In Chinese tradition, good flowing Chi makes you healthily. Sheng Qi is life enhancing energy giving feelings of contentment, happiness, and optimism, Sheng Qi is the upward and forward moving Qi(Chi, Chee ) it resides in bright, positive refreshing locations. Sha Qi(Chi, Chee ) is the opposite it is negative, unhealthy or harmful Qi(Chi, Chee ). The flow of Qi(Chi, Chee ) is mapped and predicted using a method called “Wu Xing” . Wu Xing is said to mirror the structure of the cosmos through the five elements. Each “Element” has a series of associations with different aspects of nature. In Feng Shui it uses the five elements (Wu Xing) system to Balance or repair Imbalance where needed. All 5 elements are represented within the Bagua (eight trigrams), each of the 5 elements are represented as colours, numbers, directions, seasons, etc. etc. Each element represents a different type of Qi(Chi, Chee ) or energy, Wu Xing is the interaction between each element it’s seen as 3 distinct cycles Productive , Destructive and Weakening, knowledge of these cycles and the energy flow between the elements enables Feng Shui practitioners to apply specific cures by rearrangement of energy in a way that’s beneficial to people. Productive Cycle: When an element strengthens or “produces” another element, we strengthened that elements qualities using the productive sequence. Destructive Cycle: When an element erodes or “destroys” another element, we destroy that elements qualities using the destructive sequence. Weakining Cycle: When we wish to weaken an elements qualities, we use the weakening sequence. 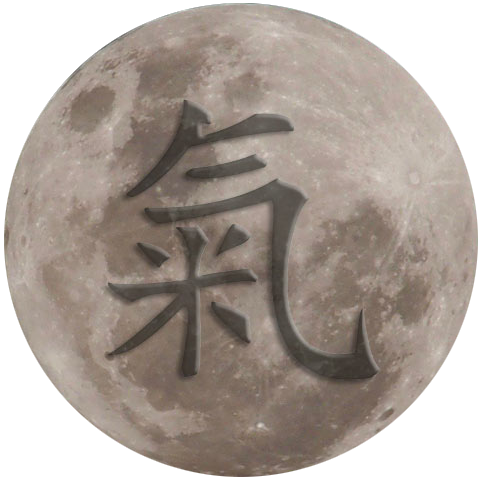 Full moon in Feng Shui is seen as the strongest chi energy influencing the planet and human beings. 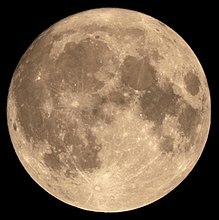 The full moon is the lunar phase when the Moon appears fully illuminated from Earth’s perspective. This occurs when Earth is located directly between the Sun and the Moon (more exactly, when the ecliptic longitudes of the Sun and Moon differ by 180°). This means that the lunar hemisphere facing Earth – the near side – is completely sunlit and appears as a circular disk, while the far side is dark. The full moon occurs once roughly every month. When the Moon moves into Earth’s shadow, a lunar eclipse occurs, during which all or part of the Moon’s face may appear reddish due to the Rayleigh scattering of blue wavelengths and the refraction of sunlight through Earth’s atmosphere.Lunar eclipses happen only during full moon and around points on its orbit where the satellite may pass through the planet’s shadow. A lunar eclipses does nt occur every month because the Moon’s orbit is inclined 5.14° with respect to the ecliptic plane of earth; thus, the Moon usually passes north or south of Earth’s shadow, which is mostly restricted to this plane of reference. Lunar eclipses happen only when the full moon occurs around either node of its orbit (ascending or descending). Therefore, a lunar eclipse occurs approximately every 6 months and often 2 weeks before or after a solar eclipse, which occurs during new moon around the opposite node.